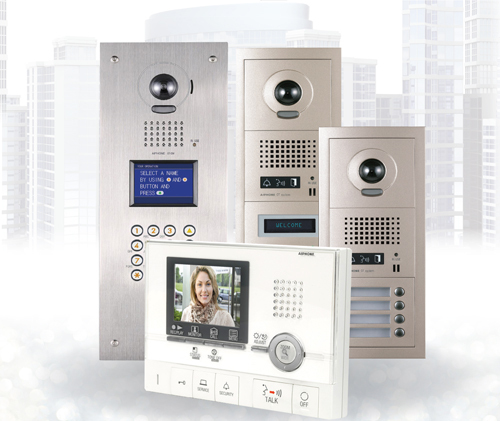 Modern Intercoms systems provide a large range of options for video and audio services within a commercial building, factory or residence. Any number of entrances can be connected to the same monitoring system if required. CCTV cameras provide clear images of the entrances. All installed monitors or audio phones can talk to each other and all monitors and audio phones have total control including opening all types of electric door and gate locks.